Dr. Krieg grew up in western New York and came to Plattsburgh as a young airman in the United States Air Force in 1977, where he was stationed until being honorably discharged in 1980. 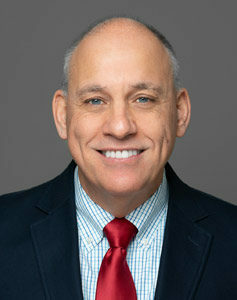 He obtained an Associate in Science with high honors from Clinton Community College in 1980, and a Bachelor of Arts with high honors from the State University of New York College at Plattsburgh in 1983. He received a Doctor of Optometry degree in 1988 from the New England College of Optometry in Boston where he was the valedictorian of his class. Dr. Krieg has practiced in the North Country since 1988. He enjoys seeing patients of all ages, specializing in routine eye exams, contact lenses, and ocular disease. If you are experiencing an emergency do not communicate through this website. Call 518-566-2020 to access our physician on call or call 911. Please do not use this website to ask medical questions.